Hearth Bread Line with Peelboards | Naegele Inc. Various line types are possible, so first some choices have to be made: final proofing on flat surface or in baskets? If the answer is flat surface, the concept choice can be a “Peelboard Line” or a “Belt Proofer”. When the dough type does not require basket proofing, i.e. the dough is not too fluid or it is a flat dough, it can be transported through the final proofer on flat boards. In front of the oven the dough will be “peeled off” from these boards. Therefore they are called peelboards. 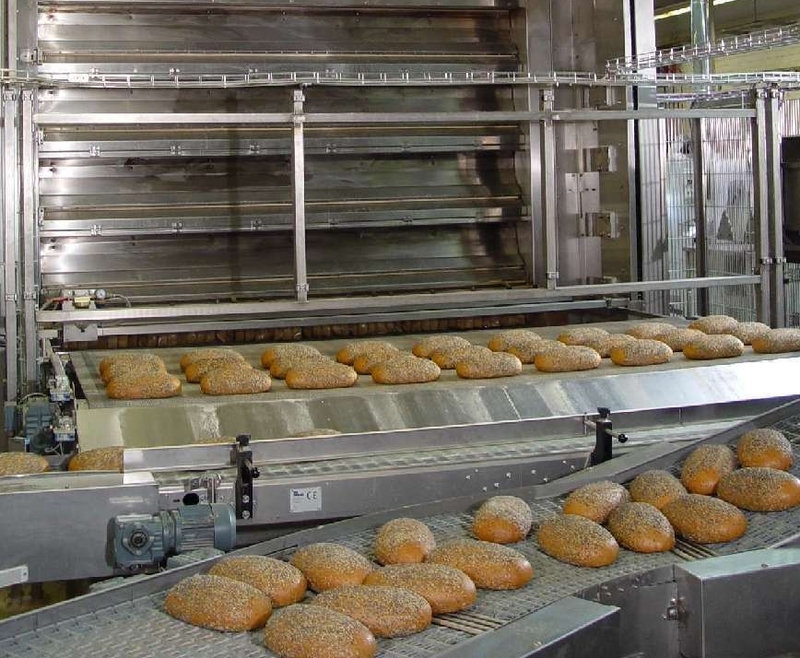 The dough make-up equipment can be any type: a bread line, a bun line, a sheeting- or laminating line. This immediately shows the flexibility of the peelboard system. The loaded peelboards are fed into either the Multi-Step, the Multi-Deck or the Swingtray final proofer. 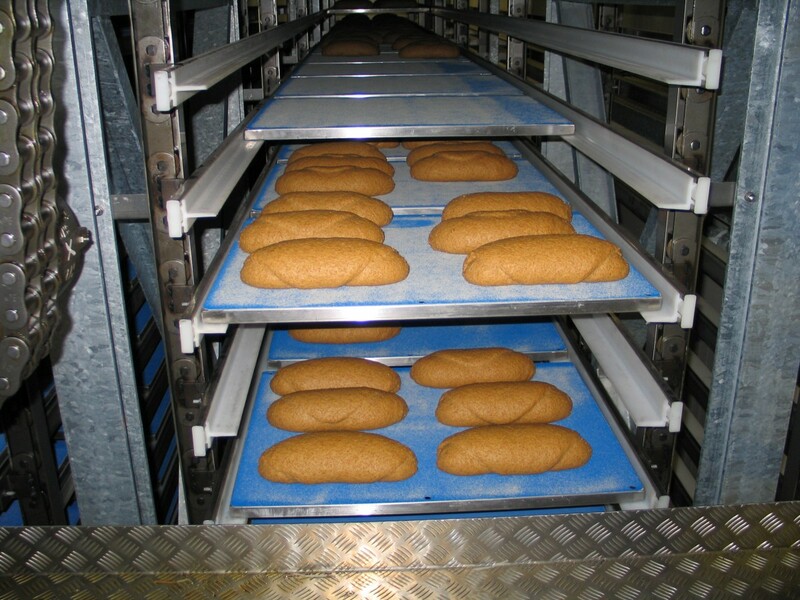 Decorating of the dough after proofing, such as scoring, seeding or flouring, is done while the products are still on the peelboards. returned to the dough depositing. The size of the peelboards is determined by the line capacity, product dimension, etc. and are produced by our Bakeware division.